Feel like Bane when you wear this Winter Coat. The Dark Knight Rises Bane Distressed Coat has shearling lining inside of the jacket necessary to keep you warm when the temperature is 0°C or below. The Bane Jacket is made of distress brown PU leather and comes with two large size button pockets with two chest pockets and two inside pockets. The Coat has full button feature in front and opens hem cuffs for sleeves. 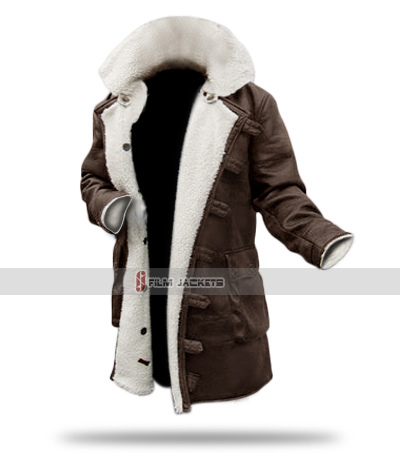 Attire this Mens Shearling Coat as a daily wear or for Halloween or Christmas. This is also a unique fashion piece to gift your beloved ones. 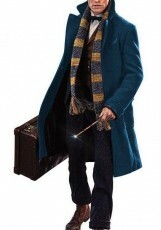 To avoid getting sick and paying doctor bills, I purchased this coat. One time investment and I am enjoying every bit of it. It comes with everything I expected before arrival, was a little skeptical regarding sizing but it fits well. Excellent for keeping out cold. Finally, I found something that is super awesome and fuzzy! 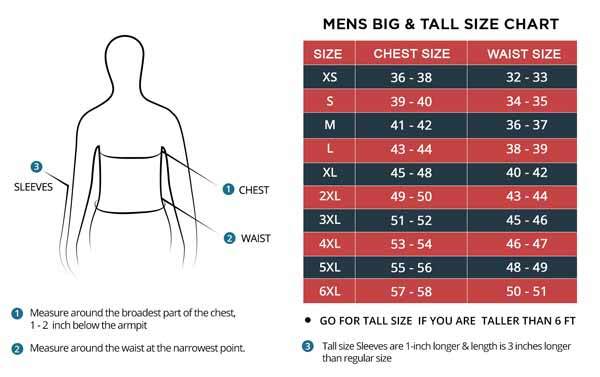 Purchased XL size (using the chart size), and so far it is providing great comfort and suits the temperature. The internal material is skin-friendly and doesn't break when I stretch my arms. The front closure is strong enough to prevent wind from getting inside and keeps me toasty warm. I have to admit, the store makes good quality products, easy purchase, and wallet-friendly. 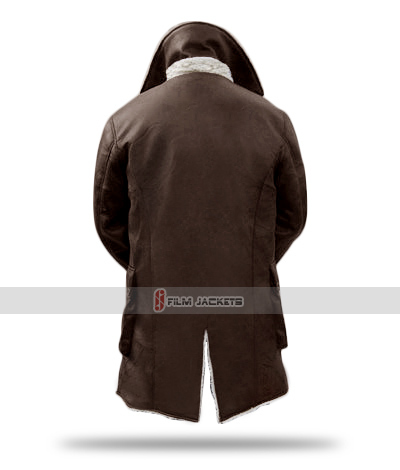 I've purchased many stuff from this website and the best of all is this awesome bane coat. I am not a cosplayer though but I do travel city to city which is why i need something like this to keep me warm. Whether it is daily, weekly or monthly, I always consider it. I love the standard features of this coat. it's been one year but it still looks and functions great. You guys make great stuff. Rock On! I had around $162 to get myself a new coat. My company was sending me to Russia during their winter season. Knowing how insane the snowfall is there, I had to take something cozy. Fjackets saved me the worry of delivering it on time. It was the coat I ever wanted, and I got for only $149. Took a very long time but it’s here. All I can say that even with the late delivery, it’s a perfect coat. I'm thankful for the cooperation and honesty. Within the next nine days, the coat arrived. It was the best feeling ever. From the order placement to right to the time of arrival, it was around 14 days at least. I was so glad that the bane jacket arrived earlier than the allotted time. After putting the jacket on and seeing myself in the mirror, it was looking awesome. I am happy with the fitting and warmth. Last year I had purchased the Bane coat in real leather. I was so impressed by it that I thought of getting a synthetic leather one. The real leather coat is, of course, heavier and has more fur, but the synthetic one is lighter and easier to store. They were right when they said it could be used for beyond 0 degrees. This is a very excellent purchase for anyone looking for a winter coat. It took me truly a while to write a review since I keep forgetting. Now that I’m here, I can say what I have to say. From the get-go, I knew that it would be the best thing I’ll ever buy from a store. The picture clearly shows that the bane jacket looks heavy and thick, except for the crumpled leather. The jacket I got was very neatly packed and had a hassle free packaging. The shearling was thick enough to make you feel warm and comfy. So testing it out in the snow showed me that I’m looking at an outfit that will last for more than 6 years or more. The quality is fantastic and has a very casual touch to the overall look. I definitely recommend it.